Last night in Sweden – The true story! 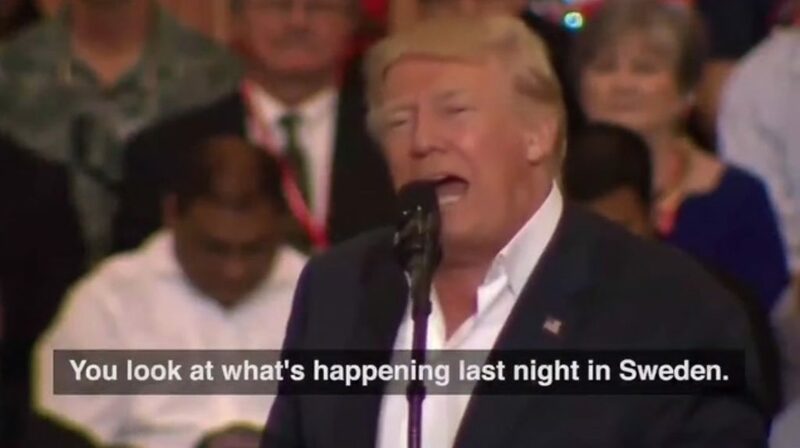 Plenty of ‘alternative facts’ about Sweden have been shared recently, most notably when, in February, Donald Trump mysteriously referred to ‘what happened last night in Sweden’ in a sinister tone. Many of the opinions being shared about Sweden in recent months are fuelled by ignorance or hidden agenda, and come from people who have never even been to Sweden. Paul Hansen and Linda Forsell, two of Sweden’s best known documentary photographers are both involved in the project. Posted in Personal, Photography, Photojournalism, Trailer, Video and tagged alternative facts, document, Donald Trump, everyday life, journalist, Linda Forsell, night, Paul Hansen, photo journalist, Photography, Photojournalism, RostamZandi, rostamzandi, sinister tone, story, Sverige, Sweden, Trailer, true, Video, What happened in Sweden last night. Bookmark the permalink.